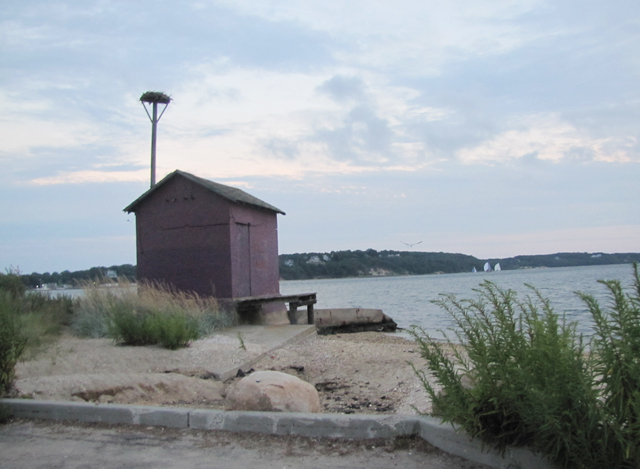 TIM GANNON PHOTO A view of the 5th Street Beach in Greenport looking toward the Heights. JULIE LANE PHOTO Greenporter Chris Biemiller wants this part of Fifth Street Beach returned to its pristine condition before any consideration of a PSEG project to provide reliable electric service to Shelter Island. Chris Biemiller is raising his voice about a proposed PSEG cable project that could run from Shelter Island Heights to Greenport.